UZIN has launched a new single component high temperature or pressure sensitive adhesive, UZIN KE 49 HT. 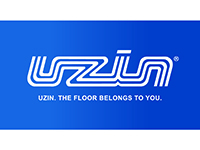 The UZIN KE 49 HT is ideal for for quick, easy and reliable LVT or vinyl installations. This new adhesive gives flooring contractors’ flexibility when working; the hybrid application enables it to be used either as a pressure sensitive adhesive or as a high temperature adhesive in areas where coverings are exposed to extreme temperatures (only when a wet / semi-dry method is used to install the floor covering). It is fitter friendly and unlike in 2 component adhesives, there is no mixing required and no wastage. UZIN KE 49 HT is a very strong adhesive with excellent initial and final bond as well as providing good resistance to plasticisers.